Beavertail® Phantom Sneak Boat. 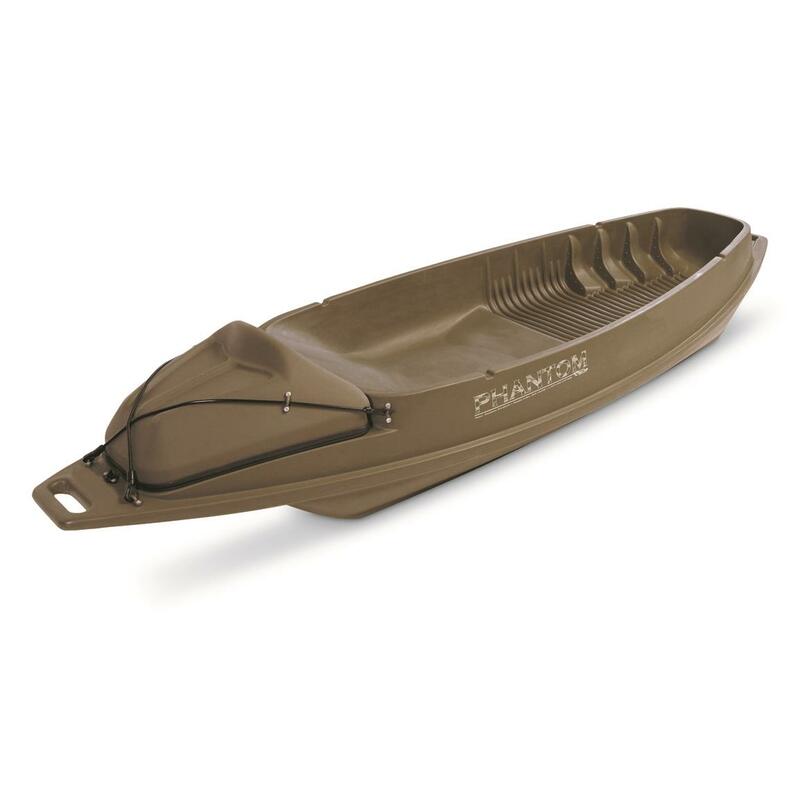 Just as agile as a standard duck hunting kayak, but a LOT more stable. 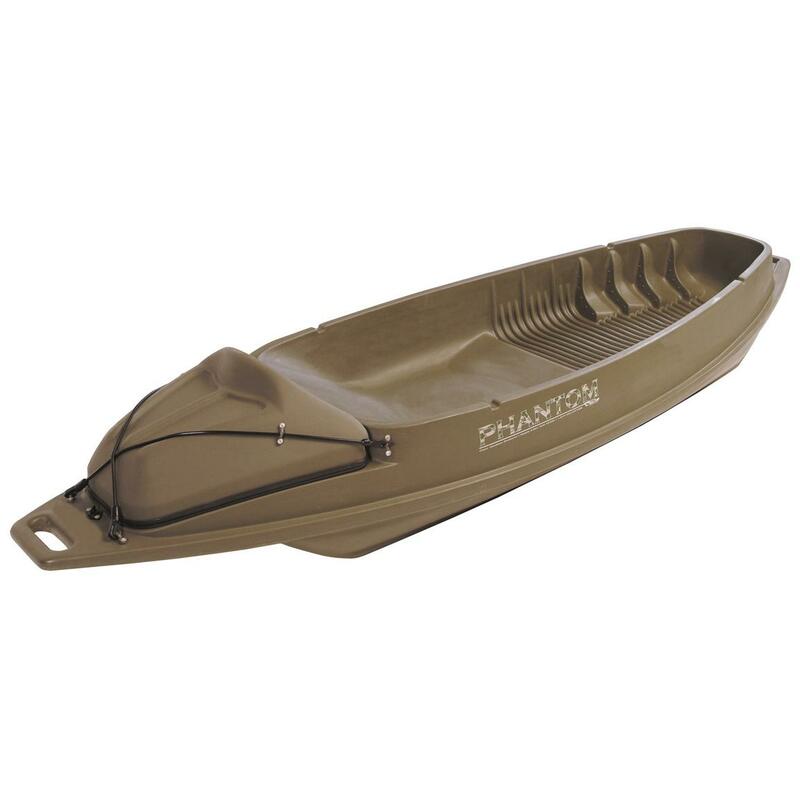 With its catamaran-style dual hull design, the Phantom Sneak Boat is extra-extra-stable to handle the weight of extra gear and the lateral movement caused by shooting. And, like all Beavertail® duck boats, it's rock-solid, smartly-designed and loaded with storage. Please Note: This item is shipped by commercial carrier curbside. This product Ships in 1 Box, Measures 108"l. x 33"w. x 18"h., and Weighs approx. 65 lbs. No expedited delivery. High-value orders require a physical street address, otherwise insurance costs will be added to the shipping total. Dimensions: 9'l. x 2'8"w. x 1'1"d. overall. Cockpit Dimensions: 6'3"'l. x 2'5"w. x 9"d.
Beavertail Phantom Sneak Boat is rated 4.8 out of 5 by 5. Rated 5 out of 5 by MOJO from Example: Great Price! Product delivered timely and was a little scratched, but nothing major. Looks and feels to be of good durable quality. I have not taken it out yet as I plan to use this coming October. Rated 5 out of 5 by Butch from Wonderful price and great service! Lite weight,should track well,will find out when duck season gets here! 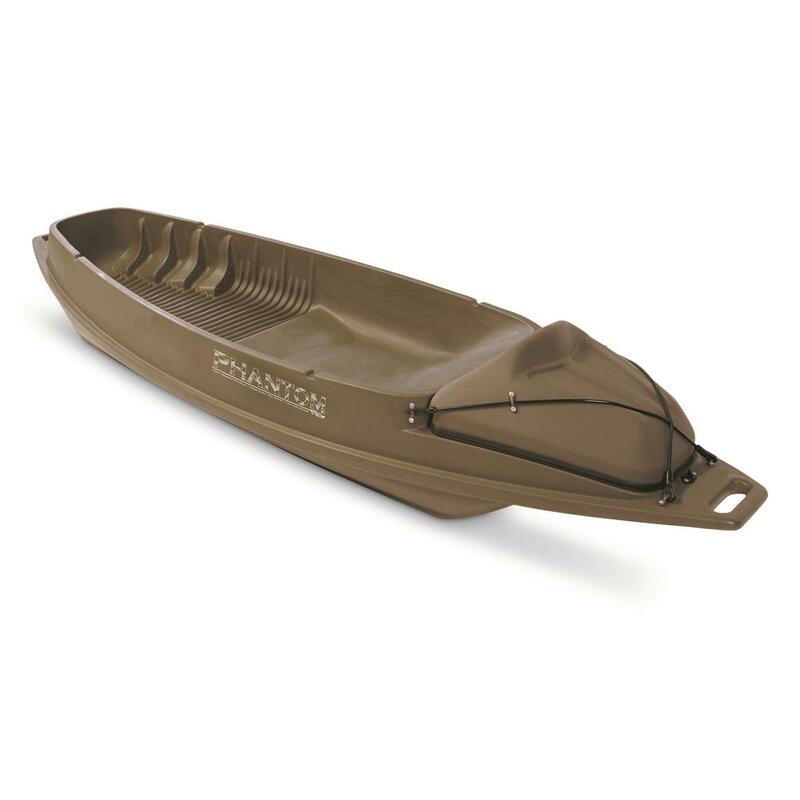 Rated 5 out of 5 by zwaa from Great duck kayak Just finished first duck season with this,. Its extremely stable , paddles well. Have room for me , like 18 decoys, mojo, gun and pack. I modified a bungee cord around yak so I could grass it .I hunt in marsh on long island ny with not a lot of cover and it worked real well to hide and retrieve, Have a pick up truck so easy to transport. Happy with yak or dak as I like to call it. Rated 5 out of 5 by Shane 91 from Great quality and price Just got one of these this year. I can't believe every sporting goods store doesn't have these in stock. I've fished from it in lake St Clair with no problem and it excels in the marsh as a sneak boat and a blind. Shooting from it is a breeze as long as your sitting and it paddles well. I'm 5'-6" & 170 lbs and I was able to carry my buddy who's about the same and a couple dozen decoys to our spot. Wasn't ideal for two but it worked. Rated 4 out of 5 by sport from Good buy This boat will do just what I intended for it. I needed something I could get back into a walk in spot and this is light enough to drag a long distance. It is also very stable on the water and carries my dog and me and minimal gear for a hunt.